Whether you've just joined an optometry practice as a billing manager, or you're a practice owner that just lost your billing expert, there is always something to learn about the optometry billing process. If you're a lone biller in a practice, you're probably up to your neck managing the entire practice's constant stream of new and working claims. Whatever your situation is, if you have a hand in your practice's billing cycle we've got a short list of four things you should definitely know about your billing process. 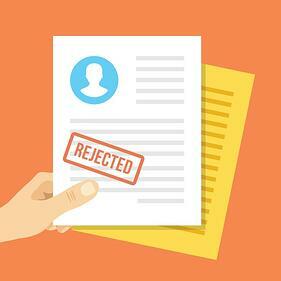 Denied claims can be one of the areas in your practice where you're losing the most money. If your biller is overwhelmed, working rejections and denials is one of the first things that could get pushed to the back burner. But, in many cases the cause of many denials can be recurring, so if your biller has the time and resources to effectively track claim patterns it will make it easier to clean up a backed-up pile of denials and rejections. To help you sort through denials and resolve issues quickly, we put together a helpful eBook, Top 7 Reasons for Denied Claims in Eyecare Practices. If you or someone on your staff are submitting claims online through a clearinghouse solution, you should have access to an ERA dashboard. An online ERA dashboard gives you the ability to track and manage your Elecronic Remittance Advice (ERA) documents from multiple payers in one location. This will help you reduce lost remits and eliminate manual posting practices. Managing an ERA dashboard is much more efficient than handling a stack of paper EOBs. Prioritizing your claims can sometimes be half of the battle. This will help you, or your biller, focused on submitting claims with the shortest timeline first to reduce chances for denials. Knowing timely filing guidelines is the best way to prioritize any claims that need to be worked quickly ahead of others. Managing your claims becomes even harder if you don't have access to important reports. A lack of transparency into your practice's numbers and claims is something that causes a lot of hassle and lost revenue for practices. With some billing services you get access to a suite of reporting tools that help you monitor things like your practice's claim acceptance rates, exam performance, denial rates, and monthly income comparisons. Better yet, you should be able to view these metrics month-over-month for your practice, and compare your numbers against state and national averages. If you're able to keep a consistent watch on how your claims are performing it will be easier to make adjustments to increase your insurance revenue. If your practice is struggling to maintain a good grasp on these four steps of your billing process you could consider off-loading the claims process to a billing service.